You can register on our website using the exact company name that is on your company's W-9 or corporate return. Start off by verify your company's address, fill in appropriate boxes, then click submit. Once you are you registered you can access the website features. What if I forgot my username/password? If you forget your username or password, click here, enter your email address and we will email you your account information. If you forget your email address, please contact your sales representative. Haitian Plastic Machinery is a leading global provider of plastic machinery. For over 50 years Haitian has offered a diverse product line of premium quality and affordable prices to fulfill their customers needs. With their innovative thinking they offer the most advance technology in their products. 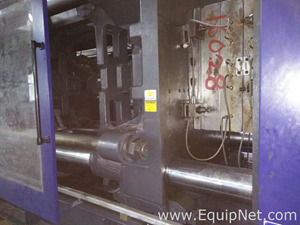 EquipNet continuously receives used Haitian Plastic Machinery equipment through our exclusive contracts with our clients. 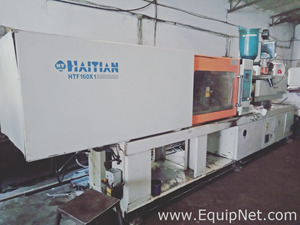 Our inventory includes but is not limited to Haitian MA800 Injection Molder. If you do not see the Haitian equipment you are looking for, contact one of our representatives and we will find it for you.